The aims of this project are: (a) to foster increased development of forecast aids for global basins by engaging the wider community of operational centers, academic researchers, and commercial interests; and (b) to go beyond track and intensity both by encouraging the development of forecast aids for structure change and by providing structure data for use in track and intensity projection methods. 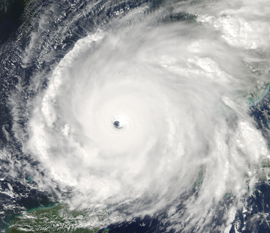 To accomplish these aims, the project is organized around four main objectives: (1) to provide a global repository of tropical cyclone forecast aids for track and intensity information, (2) to provide real-time plots of these data for active tropical cyclones, and (3) to visualize structure and intensity parameters from observations taken by reconnaissance aircraft, (4) to provide retrospective plots of these data for past tropical cyclones. This site is organized by tabs underneath the banner image above. Please refer to the overview tab to learn more about the purpose and rationale of this project, as well as future plans and general information for users. Each main tab also has a page explaining more about that section. The guide to plots tab provides an in-depth explanation for each of the types of plots featured in the site, as well as information about the various tropical cyclone forecast aids that appear in the plots. Some additional tropical cyclone resources are provided on the links tab. 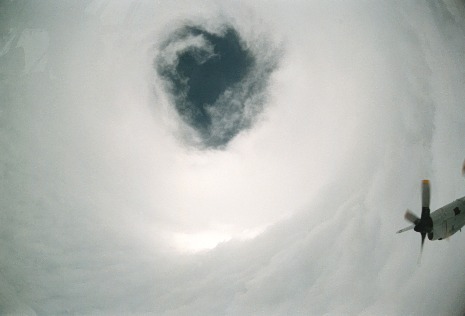 Looking straight up from inside the eye of Supertyphoon Forrest (1983) from a hurricane hunter reconnaissance aircraft. Photo courtesy of Scott A. Dommin. The TCGP plotting system has been updated to use a newer, higher resolution map database. The previous map database did not include the island of Barbados as well as many other minor islands. The new map database also allows for state boundaries of Mexico, Brazil, Canada, and several other countries. The outlines of U.S. counties will now be displayed whenever the range of the map domain is smaller than 35 degrees. For previous news, please click here. 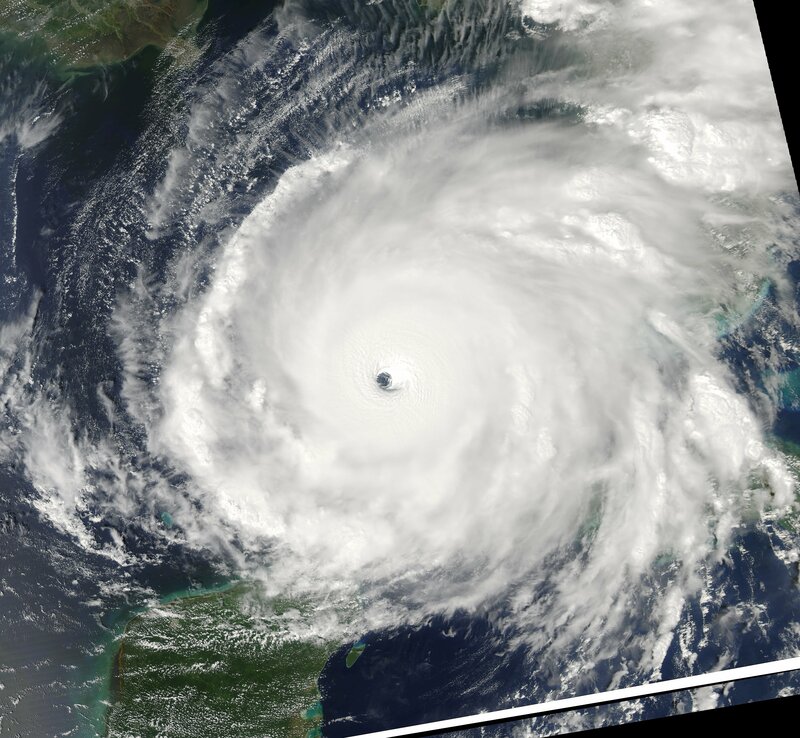 The banner image of this site features a NASA satellite image of Hurricane Rita, taken at 1920 UTC on 21 Sep 2005. Click on the image to see the original high resolution image.